Update – apple and pear sticky notes at Etsy! 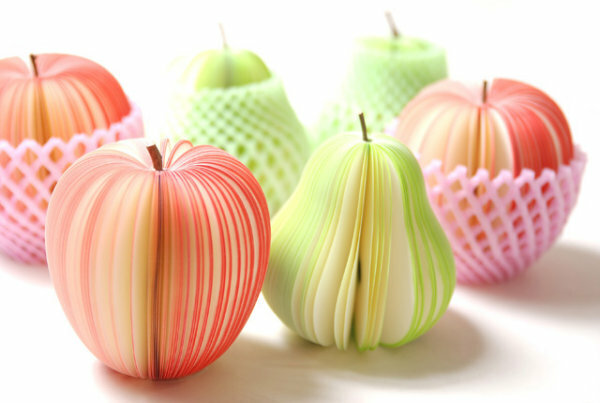 These spectacularly beautiful sticky notes in the forms of apples and pears stole our hearts in July last year. Back then the only stockist we could find had them for astronomical prices. Lucky for us (and you!) they’ve appeared on Etsy for just US$3.99 per pad so it’s time to update those old yellow notes with some that are a whole lot groovier. Make your work day a little brighter while amping up the novelty factor. The colours are just so pretty and they even have a little black seed printed on each sliver of a note. They can sit on your work desk and make a departure from the usual office fare, or just pretty up the phone area in your home. 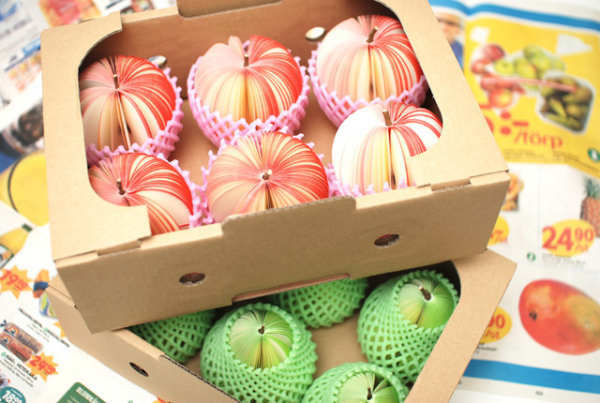 Etsy’s Sassy Talk Cafe will ship the Red Apple and Green Pear to Australia, with postage from US$3.